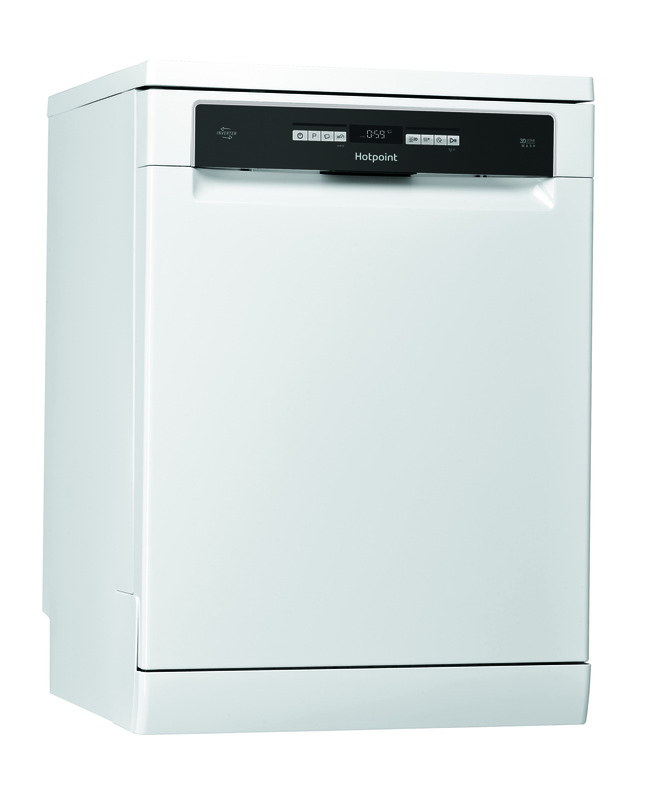 Save time and effort on the everyday washing up with the Hotpoint HFO 3T123 W F UK dishwasher in white taking care of 14 place settings. Featuring our exceptional 3D Zone Wash Technology, allowing you to choose between 40% extra energy efficiency or 40% more washing power, delivered to your choice of internal baskets for maximum cleaning on stubborn, baked-on food. 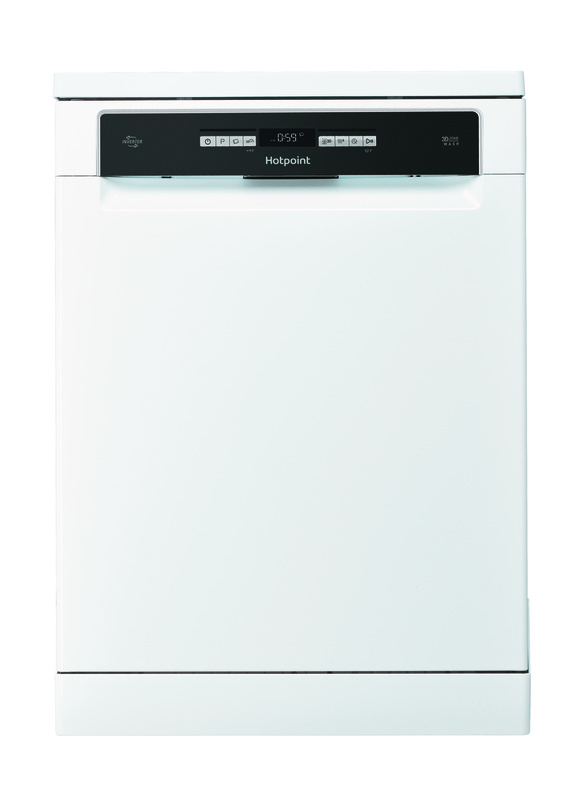 Including the Hotpoint Inverter Motor, with new algorithms and improved insulation. Providing more power with precise control over cleaning performance, it's our most advanced motor yet operating at just 41 dBa. Designed with versatility in mind, Flexiload lets you alter the set-up of the interior cavity's upper and lower baskets, with special colour coding to guide you towards exceptional space creation for larger pots and dishes. In addition, a convenient sliding cutlery tray positioned above the top basket offers extra space for your cutlery, knives and utensils. Hotpoint's Glass Care allows you to easily load your precious crystal ware in to a foldable holder and rest at ease while the dedicated Glass Care Cycle takes care of the rest. Giving your glassware a gentle clean keeping them sparking as if brand new. Complete with a Stainless Steel Tub for better hygiene and a Counterbalanced Door for improved safety, the Hotpoint HFO 3T123 W F UK is rated A++ on energy usage, uses just 9 litres of water per cycle and can be easily operated using the 24 hour delay timer.